A mother and daughter are facing charges following an incident which occurred on John Bragg Hwy. and in the parking lot of Parsley’s Market on June 12. Carolyn H. Cunningham, 616 Bassar Rd., Bradyville, was charged with Allowing an Unlicensed Driver to Drive by Cannon County Sheriff’s Deputy Brandon Gullett. 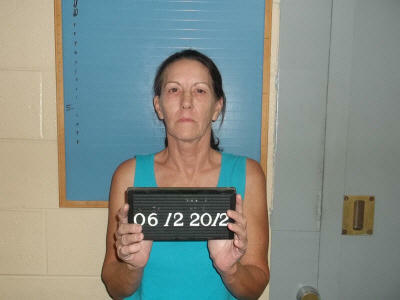 Her daughter, Erica Danielle Cunningham, same address, was charged with Driving While License Revoked 1st Offense. Deputy Gullett was dispatched to the location following a report of a possible drunk driver. A witness told the deputy he and his family were traveling on John Bragg Hwy. and as they got close to B&W Market, a gold Dodge Stratos pulled from the parking lot and across the highway and then made a right turn onto the highway, going east bound in the west bound lane of the roadway. The witness stated he continued to go east while flashing his headlights at the oncoming cars to warn them of the vehicle which was coming toward them, while he was on the phone to Cannon County Dispatch. The witness said when the vehicle pulled into Parsley’s Market be observed a female in a black shirt get out and switch seats with a female in the passenger’s seat, and then the vehicle drove to the back of the parking lot and began driving in circles around the gas point. It was at this point Deputy Gullett arrived, as did Deputy Seth Perry. When questioned, Erica Cunningham stated she was driving the vehicle because her mother had been drinking. A check of her license showed it to be revoked for DUI. In addition to the two women, a small child was in the vehicle. A person was contacted to come pick up the child after the women were taken into custody. Both women were released on $1,000 bond. Their initial court date is Aug. 7.